With over 7% of the U.S. workforce affected, many organizations are ordered by courts to garnish their employees’ wages for unpaid medical bills, child support, student loan debt and more. If these orders are mishandled, employers are 100% liable. 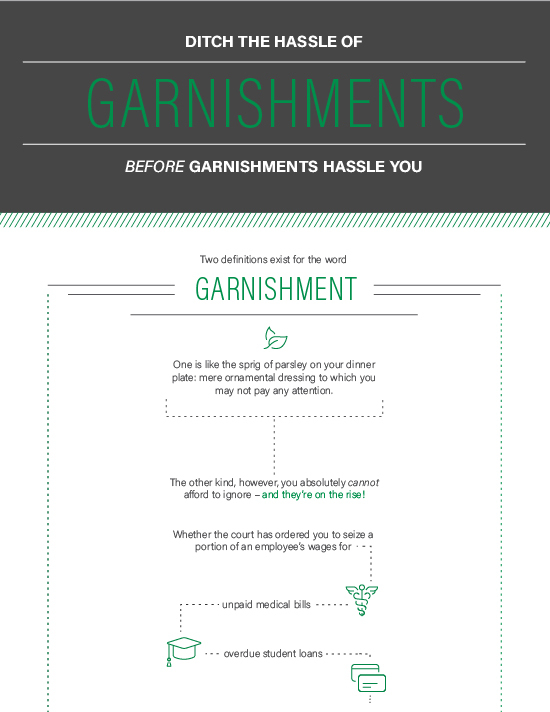 This infographic explains the complex process of garnishment operations, looks at monetary fines in key cases, and provides businesses with an approach to avoid noncompliance. 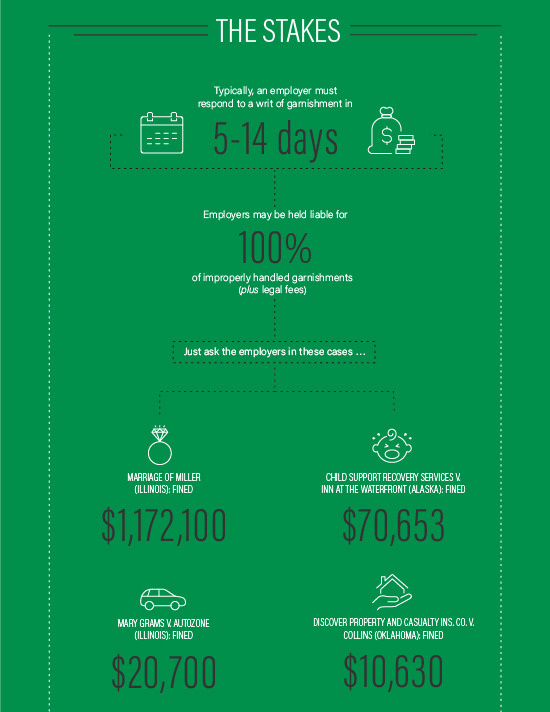 Grow trust in your workforce with an automated process that pays them on time and accurately. 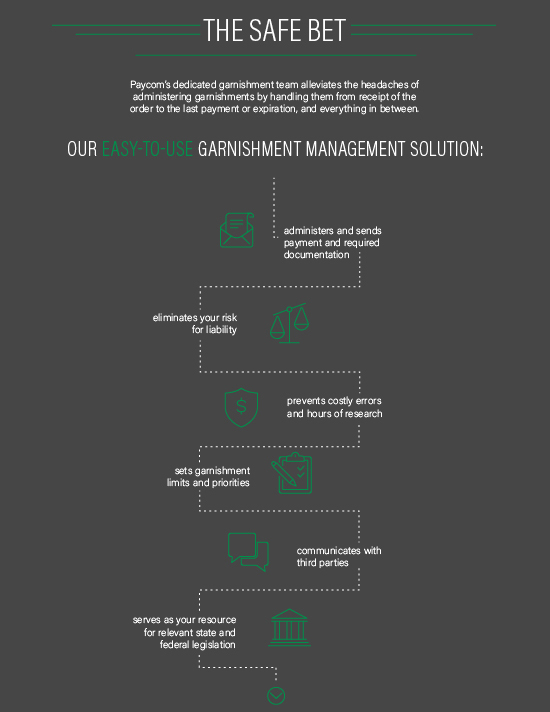 Eliminate manual entry and re-entry to eliminate errors and to avoid exposure to tax liabilities. Achieve accuracy, accountability and security with one system of record, so that information affecting payroll automatically populates to all other tools system wide.